If you’re planning to take your pet on your next getaway, you’re not alone. According to the U.S. Travel Association, over 49 percent of U.S. adult leisure travelers consider their pet to be part of the family and 18 percent of U.S. adult leisure travelers usually take their pets with them when they travel. Despite travelers’ desire to bring their pets along, it is often difficult to find truly pet-friendly accommodations. 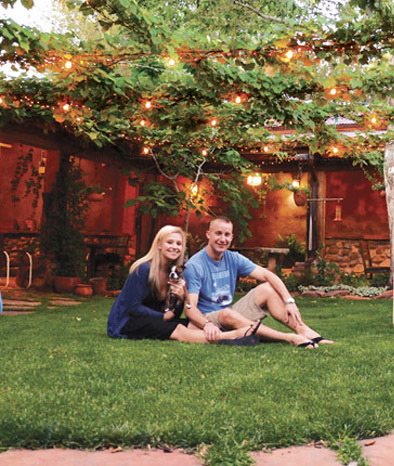 Segner wants guests to feel at home and dogs are welcome anywhere in the hotel, including the spacious great room or on the patio in the central courtyard. He will personally sit down with guests and their four-legged friends to make hiking and sightseeing arrangements; from kayaking and helicopter excursions to wine tours and Grand Canyon adventures. Sedona jeep tours with Sun Country Adventures provide dog-friendly outings amid Sedona’s rugged terrain and stunning red rock scenery. 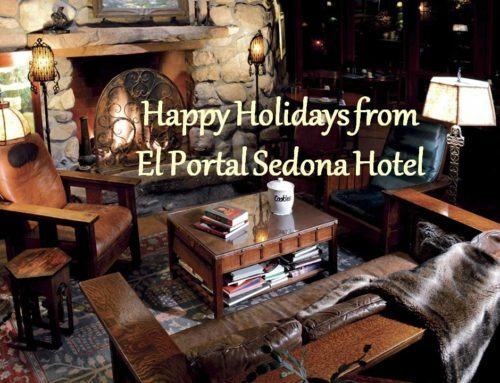 The hotel is located next to the historic Tlaquepaque Arts and Crafts Village for shopping and dining, and is within walking distance of Oak Creek. 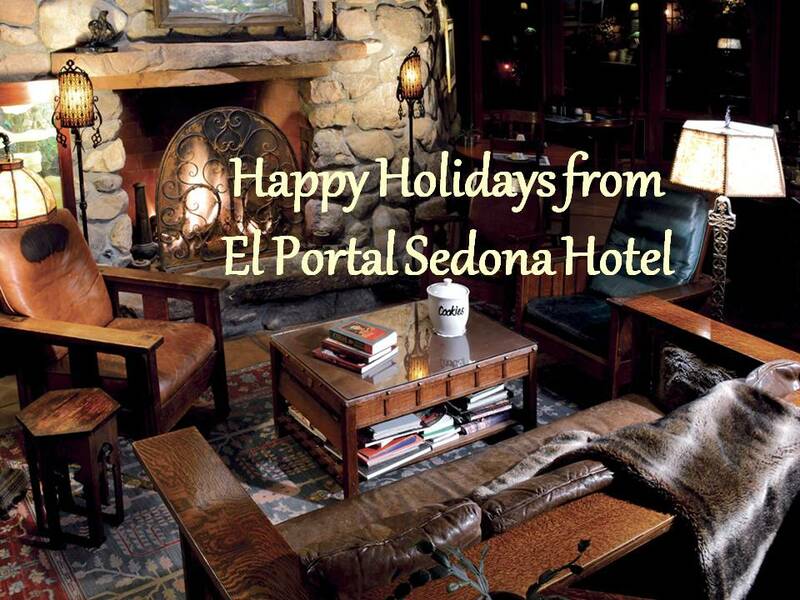 El Portal offers guests not only pet friendly accommodations, but know the places to go, eat, play, etc. with their pets. The Segners and staff have lists of groomers, pet friendly parks, and pet food and supplies in the Sedona area, and help with State and National Park pet regulations. 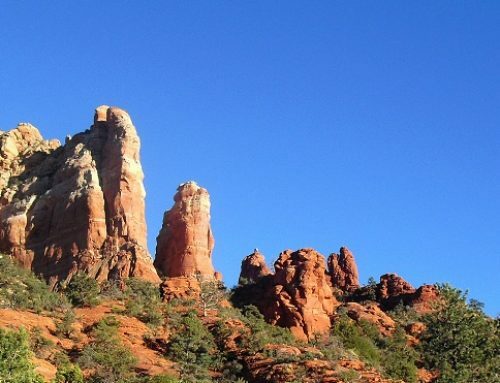 Some great places to take “Fido” to include Sedona Dog Park – an off-leash park where dogs can romp and play; West Fork Hiking Trail – one of the best trails in Arizona and one of the top ten in the country! 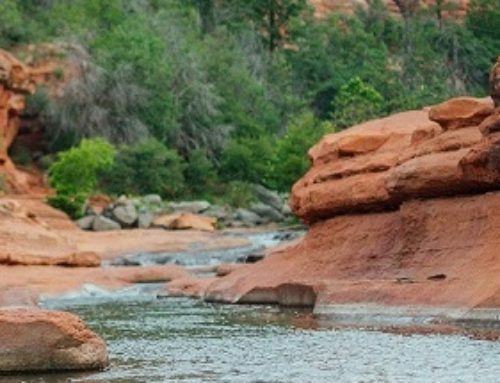 Try Grasshopper Point – a natural swimming hole surrounded by the beauty of Oak Creek Canyon; or Marg’s Draw Hiking Trail – an easy to moderate hike with stunning vistas of the towering red rocks. All welcome well- behaved dogs. El Portal caters to their human guests as well. 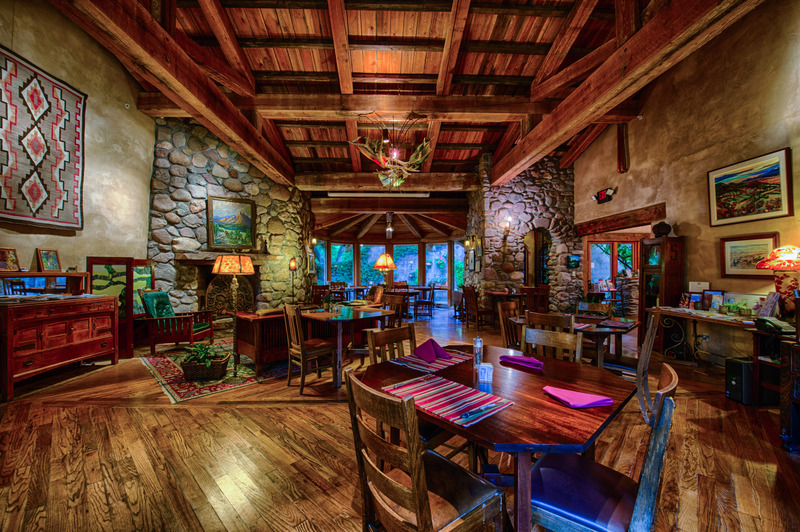 The twelve room luxury inn was designed and built with scrupulous attention to detail with turn of the century Southwestern design, 18-inch thick handmade adobe walls, recycled wood trim and natural native stone. 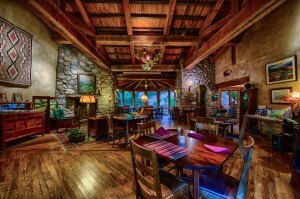 Each spacious room is full of character and has unique features such as museum quality Arts and Crafts furnishings, soaring beamed ceilings or hand-painted details. 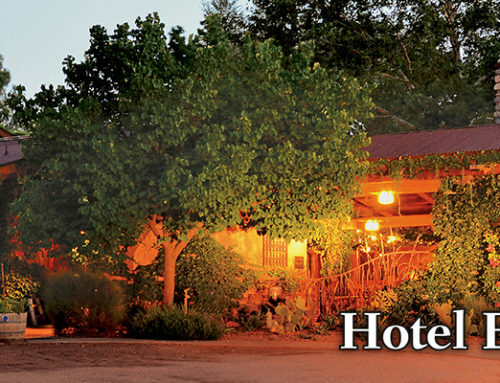 Rooms feature all modern amenities such as fireplaces, whirlpool tubs, free WiFi, TV, phones, and more.